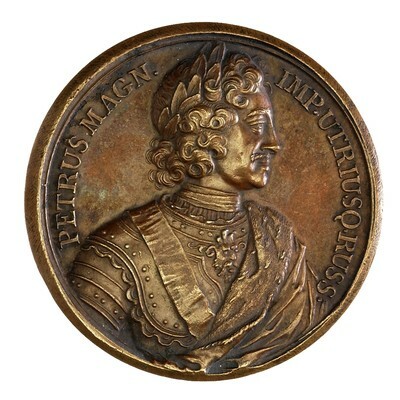 Obverse: PETRUS MAGN. IMP. UTRIUSQ. RUSS. 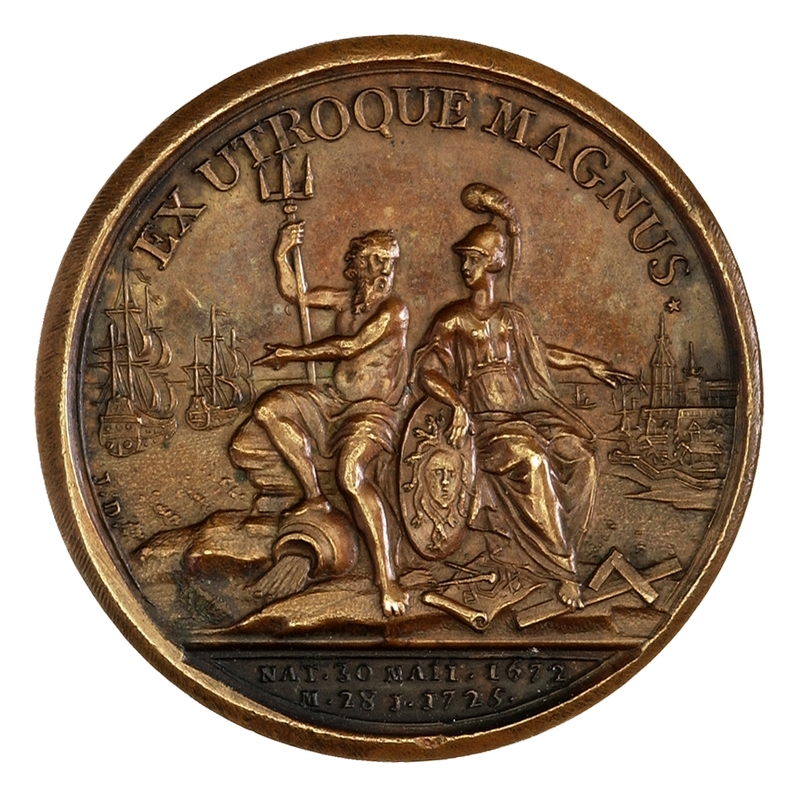 [PETER THE GREAT ALL-RUSSIAN EMPEROR] - Bust of Peter I, laureated, cuirassed, and draped, r.
Note: This medal was possibly struck during the reign of Elizabeth I (1741-1761) to commemorate Peter the Great who was her father.